If billionaire Elon Musk’s tunnel vision comes to pass, travelers will be able to zip beneath Los Angeles through an underground Loop system at 150 mph for about $1 a ride. That’s the promise of the Boring Company in a nutshell. 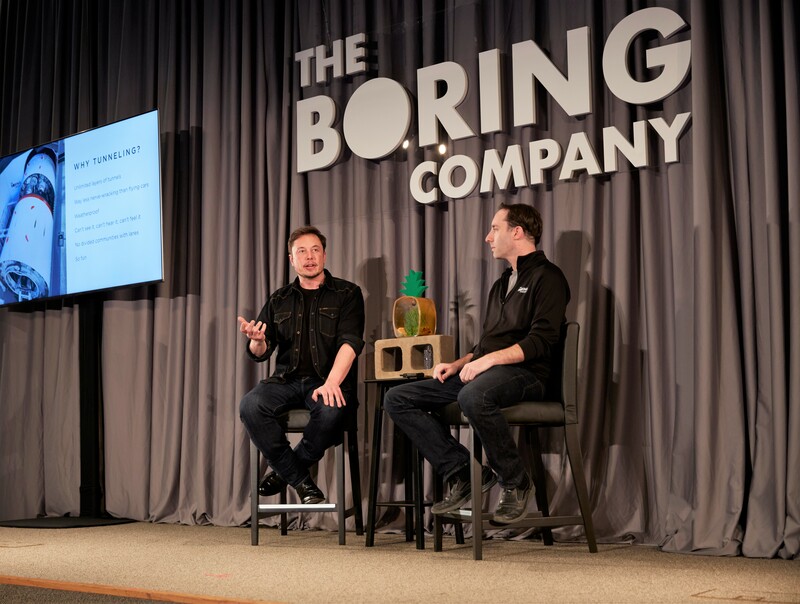 During a Thursday night session that lasted nearly an hour, Musk and the Boring Company’s project leader, Steve Davis, laid out their case for building a network of tunnels 30 feet or more beneath Los Angeles, starting with a 2.7-mile “proof of concept” dig. Musk’s aim is to get around the “soul-destroying traffic” that afflicts L.A. and other big cities, by building as many tunnels as needed to accommodate underground transit on fast-moving pods. Priority would be given to passengers and bicyclists, but cars could be lowered from the streets into subterranean superhighways as well. This entry was posted in GeekWire and tagged Elon Musk, Technology, The Boring Company, Transportation, Tunnels. Bookmark the permalink.